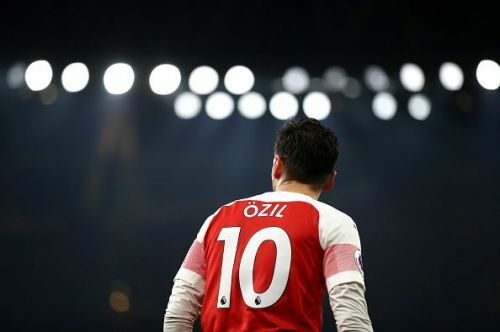 Does Ozil make our list? Football has several variables attached to it, be it the different team combinations used or the tactics of a team designed to primarily counter what is placed in front of them. Thus, it is only inevitable that some players find themselves on the periphery due to their incompatibility with the manager’s larger scheme of things. Over the years, we have seen several high-profile ‘player-manager’ fall-outs with the Jose Mourinho and Iker Casillas spat quickly springing to mind. In the current season too, there have been numerous footballers who’ve been isolated by coaches on the basis of footballing and non-footballing reasons. Thus, through the course of this article, we chalk out five talented players who aren’t being given the stage to showcase their talents. In the summer of 2018, the transfer saga of Malcom dominated the back pages for a significant amount of time. The Brazilian was famously snatched by Barcelona from under AS Roma’s noses and it left the latter fuming with the former’s ‘un-sportsmanlike’ conduct. To rub salt into their wounds, Malcom even scored in his first appearance for the Blaugrana against Roma. Thus, many believed the winger to push Ousmane Dembele and Philippe Coutinho all the way for a starting spot. Yet, nothing of the sort has materialised with the Brazilian frozen out on the bench more often than not. 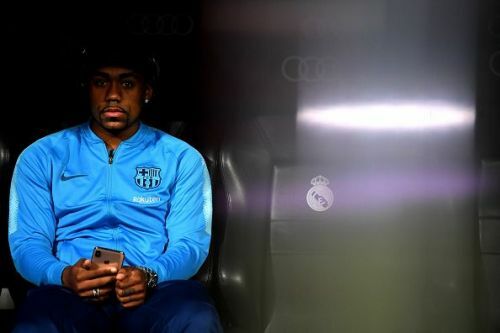 Though his exclusion could be put down to Dembele’s sublime form, a grand total of 129 minutes in the league shows that Valverde just doesn’t trust Malcom at this juncture. However, the forward has made the most of the limited chances by rippling the net twice in three games in the Copa Del Rey while also scoring once in 30 minutes of Champions League action. The Brazilian is only 22 and he still has time to blossom into a Blaugrana regular in the years to come. For all we know, he could hit the ground running in his second season akin to Dembele. Yet, for now, his abilities have been kept in the cold storage. Thus, he makes our list at No.5.